I don’t think I ate a scone until I was in my twenties, but I’ve eaten enough since to make up for that. My favorites are blueberry and chocolate chip, but every so often I’ll make savory ones like these Mini Cheddar Bacon Scones. They’re pretty rich, so instead of making them huge like bakery scones I make them kind of small. They’re not exactly “mini”, but “mini” sounds better in the title than small so that’s what I’m calling them. The recipe gives you 8 mini/small scones, but if you need even fewer you can freeze the unbaked scone dough triangles and bake them right up from frozen. Here’s a pile of frozen scone dough triangles. They’re nice to keep around because you can just throw the frozen triangles on a tray, brush with egg (or not) and bake the usual time plus a couple of minutes to account for the frozen dough. Here’s the recipe! I tend to change it up a lot, so if you have any questions let me know. These small scones, aka Mini Cheddar Bacon Scones are pretty peppery. If you're making these for little kids you may want to cut the pepper in half. Preheat the oven to 400 degrees F. In a mixing bowl, combine the flour, baking powder, salt, sugar and pepper. Using a cheese grater, grate the butter over the flour mixture, stopping after every few grates to gently toss the butter with the flour. Stir until crumbly and coarse, then toss in the cheese. Turn the dough onto a large pastry mat (or floured surface) and gently knead in any loose flour. Shape into a rectangle about 4x8 inches. 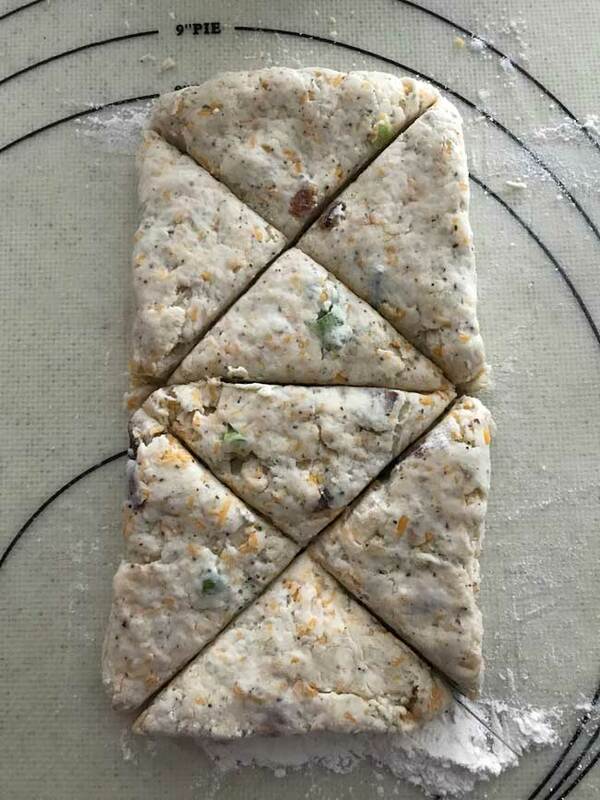 Cut the rectangle into two 4 inch squares, then cut each square into a triangle so you have four big scones. 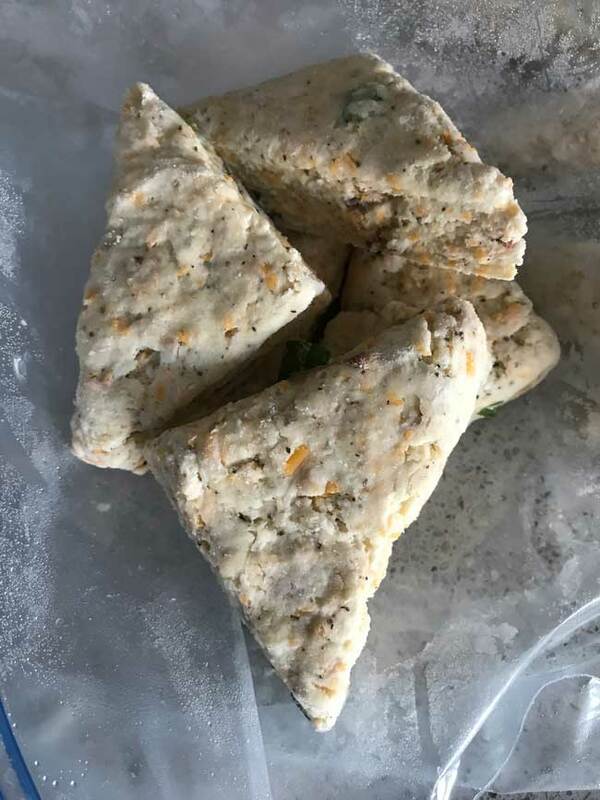 Cut triangles in half again for mini scones. 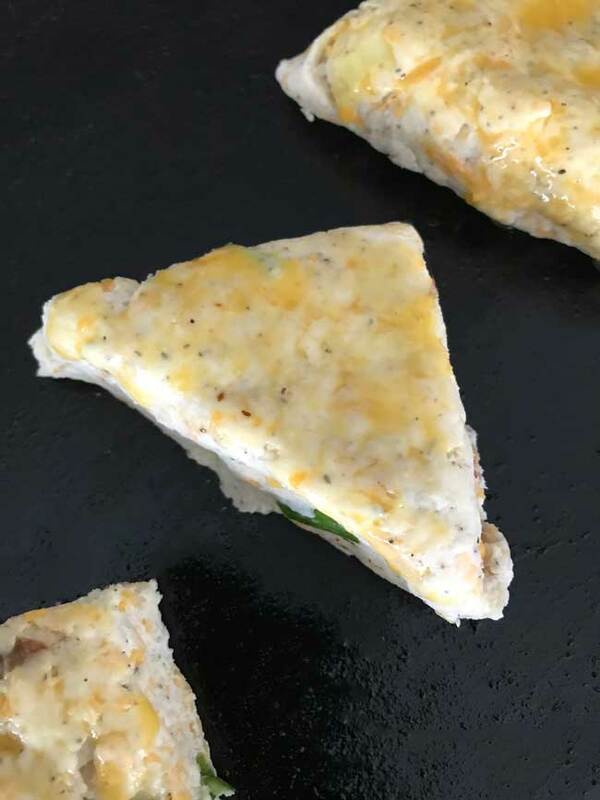 Arrange the triangles on a parchment lined baking sheet, brush with lightly beaten egg and bake for 18 to 20 minutes. 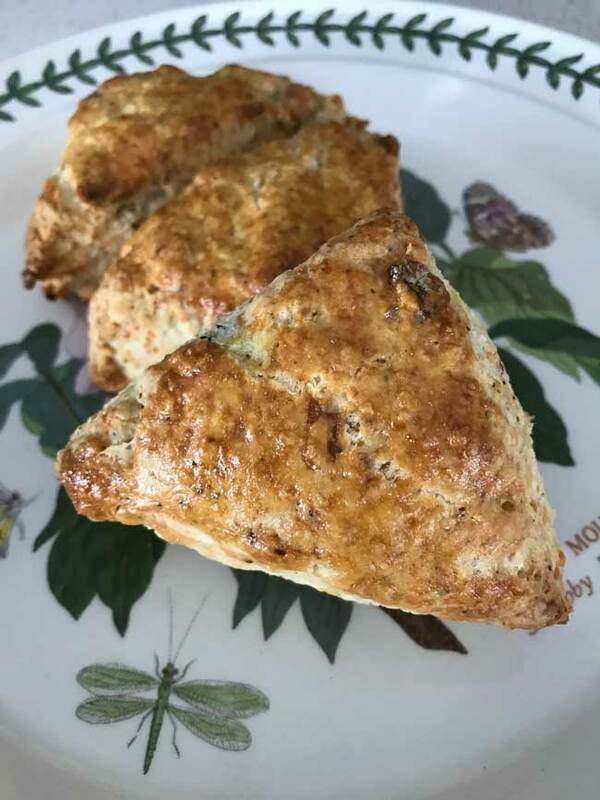 I haven’t made bacon cheddar scones in a long time but they are a favorite! I like the idea of smaller ones. When I make cheddar scones (or biscuits) I add a bit of powdered mustard. Punches up the cheese flavor.